Brunei might not immediately jump out as a can’t-miss destination. 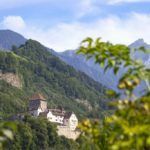 Look closer however and you’ll find displays of ostentatious wealth, traditional villages with a rich culture, and a stunning tropical landscape. Brunei is located in the northern part of the island of Borneo in Southeast Asia. Surrounded completely by Malaysia, the small country is divided into two unconnected (but nearby) sections. The best time to visit Brunei is late spring to early fall. There is more going on in the summer, however spring is the driest season. You should expect hot and humid weather throughout the year. How do I get around Brunei? Depending on where you’re going, some areas are only accessible by boat. Vehicle ownership is widespread however, so hiring a car is always an option as well. Standard Malay is the most common language in Brunei, though Chinese and Arabic are also heard in certain areas. English is widely spoken so you should have no issues getting by for the most part. 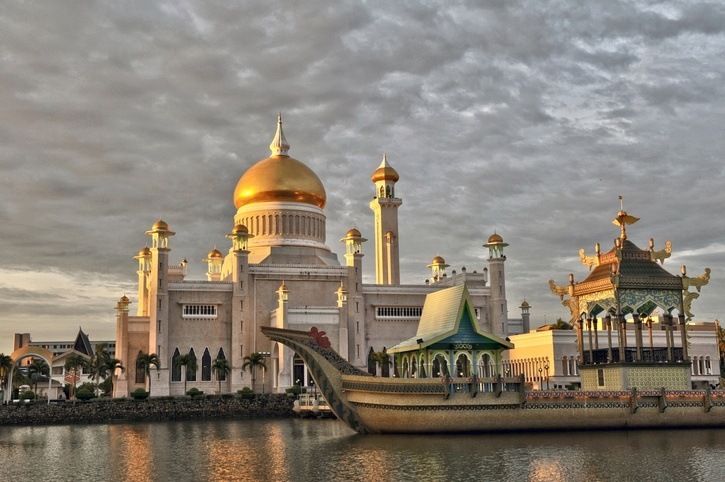 Brunei’s capital and largest city, Bandar Seri Begawan, is a contradiction in many ways. The oil wealth of the nation and sultan is clearly evident in the giant mosques and opulent palace. The majority of the capital is more relaxed however, with a unique water village (Kampong Ayer), stores, museums, and an altogether understated aesthetic. It’s a great place to take the pulse of this one of a kind country, whether it is through basking in luxury or simply sampling some of the restaurants and shops. Did you know Brunei is divided into two different parts? That’s right. To the east, a small exclave known as the Temburong District lies nearby but separate and features some of the most wild and stunning locations on the island of Borneo. In particular, the Ulu Temburong National Park gives lucky visitors a glimpse into a rugged landscape and diverse animal species. 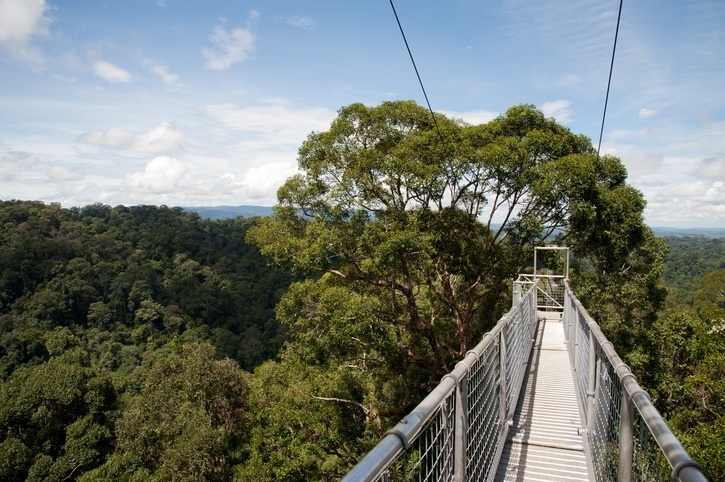 Only small parts of the park are open to tourists however a trip here is more than worth it to discover one of the true untouched parts of Asia (we definitely recommend the canopy walk). While the capital and rainforests might be the main draws, Brunei isn’t a two trick pony by any means. 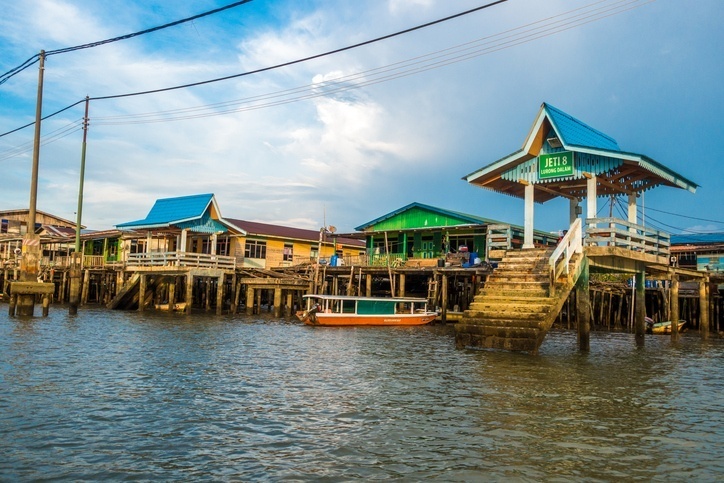 Numerous towns and settlements have thrived thanks to the business efforts of Brunei Shell, while longboat rides, scenic car trips, and more are on offer throughout the country. 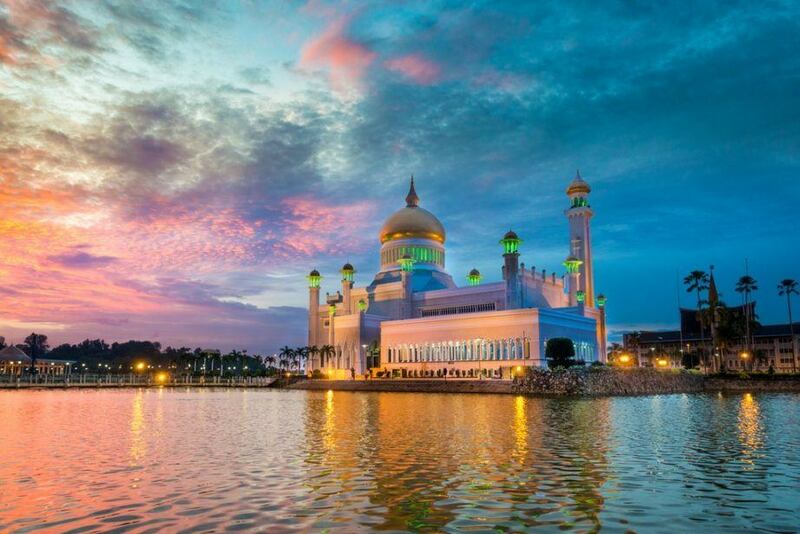 Brunei may not be blessed with as many marquee sights as its neighbour Malaysia, but a trip here will surely uncover much worth seeing nonetheless. A round trip flight between Toronto and Bandar Seri Begawan is not cheap, with average prices around the $1700 Canadian mark. It’s also worth looking into flights to nearby Malaysia and taking alternative means of transportation from there. Overall, prices aren’t too bad. A simple fast food meal comes to around $5.75 Canadian while a cappuccino in an expat area will come in at around $5. Overall, prices are at or below local prices here – though you should expect some variation. Overall, Brunei is a safe country with normal security precautions recommended throughout by the Canadian government. As always, you should be aware of petty crime by keeping your valuables secure at all times. For more on travel safety, check out the Canadian Travel Advisory for Brunei. You can learn more about Bruneian history and culture in the Country Profile as well as its currency with our Spotlight. Check out the official Bruneian tourism page for more.